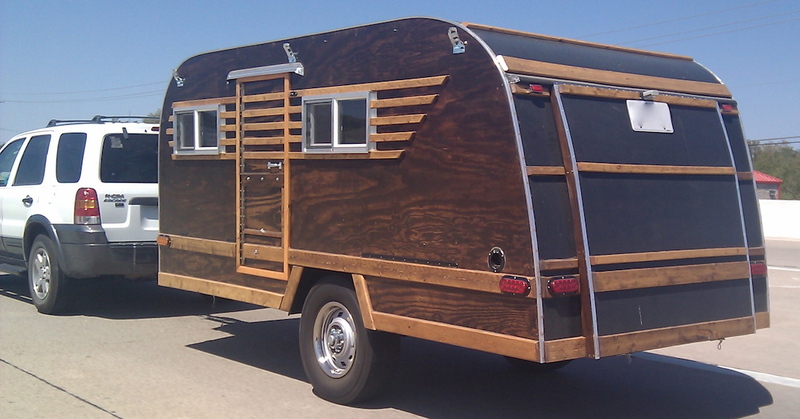 Two-toned wood camper spotted on the road. Dark wood paneling with lighter wood accents and trim. Wonder if the rear hatch opens up for access or hides a chuck wagon kitchen? This camper is of unknown origins, if you know more about it, let us know!